For two years I taught in South America. During that time I had many opportunities to travel. While visiting the floating islands of Lake Titicaca, I was shooting photos. One picture I caught was of a group of people working away on crafts to sell at the market. This little girl knew she deserved pay for having her picture taken. 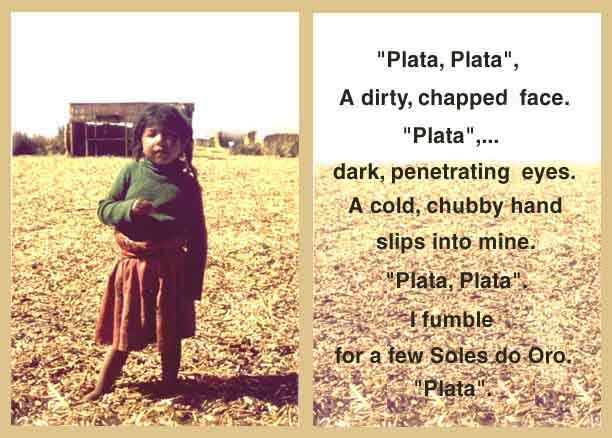 She caught up to me and tugged on my hand to let me know I owed her money (plata)...the Peruvian currency was Soles do Oro.